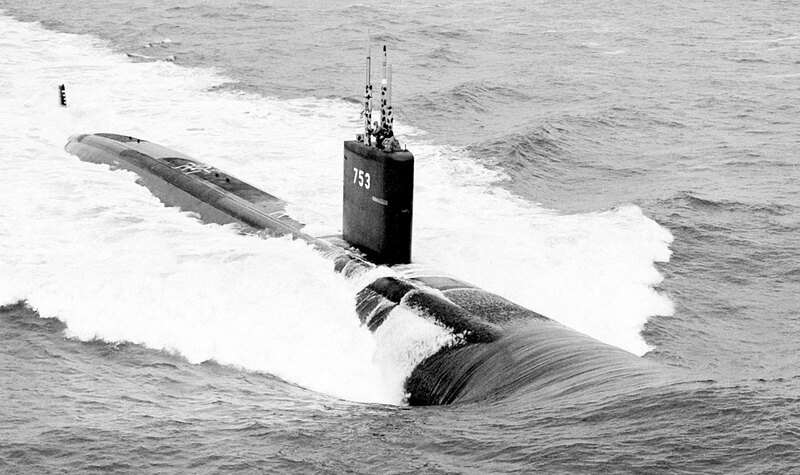 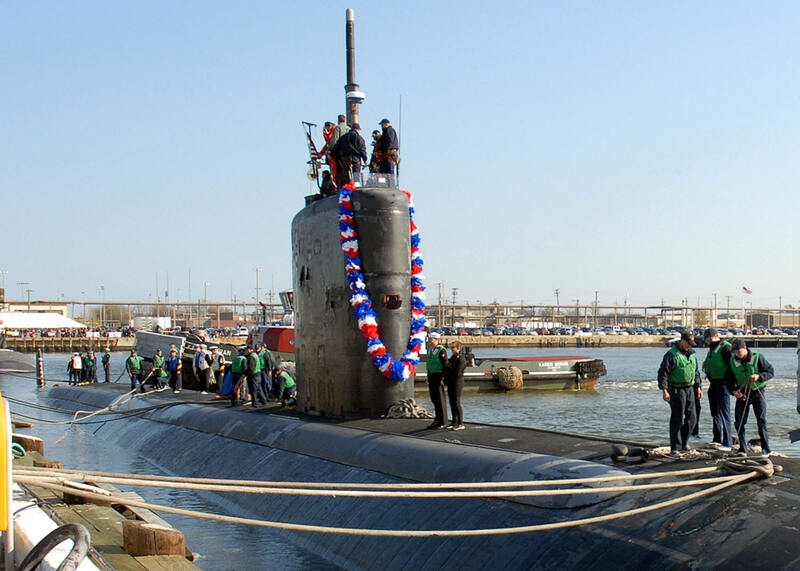 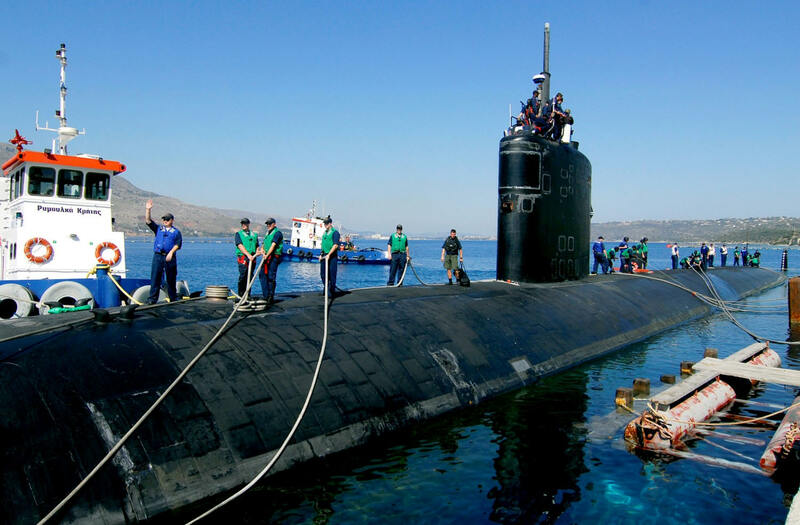 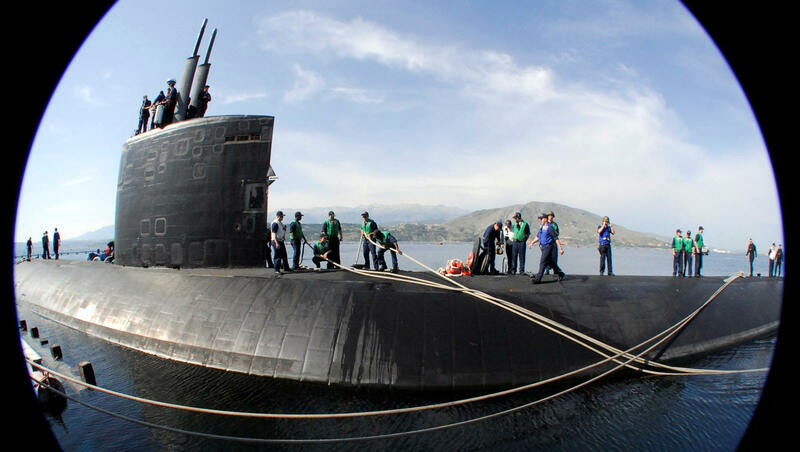 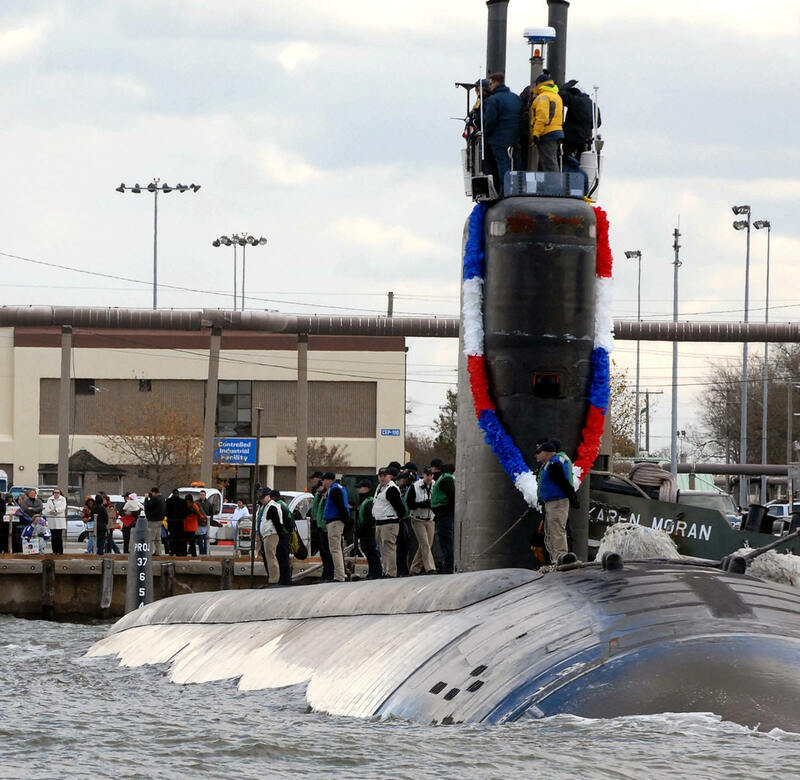 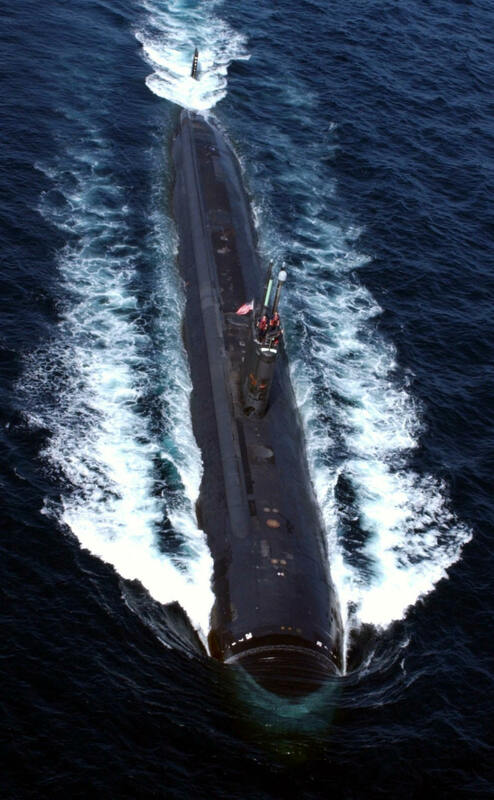 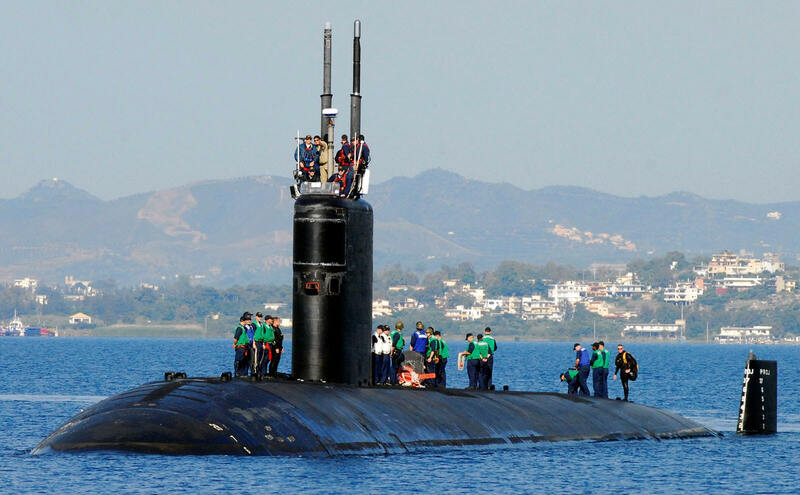 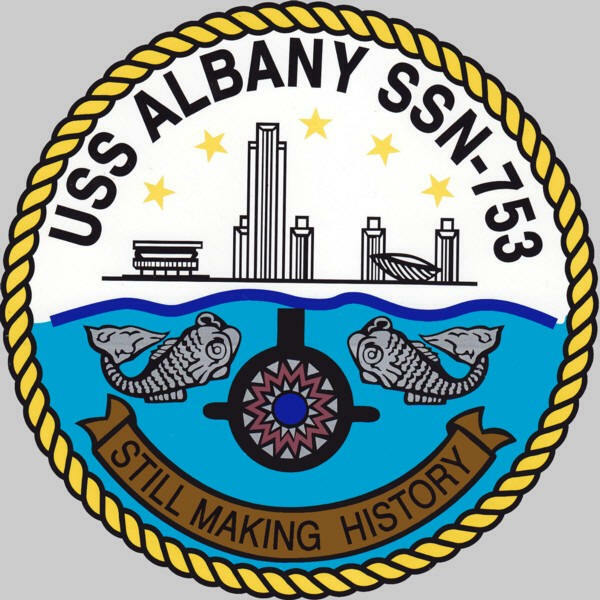 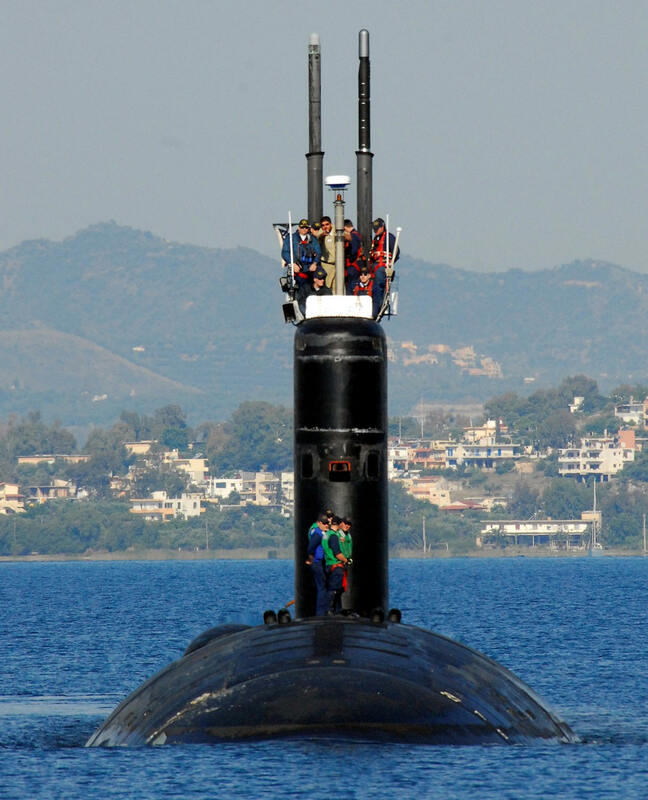 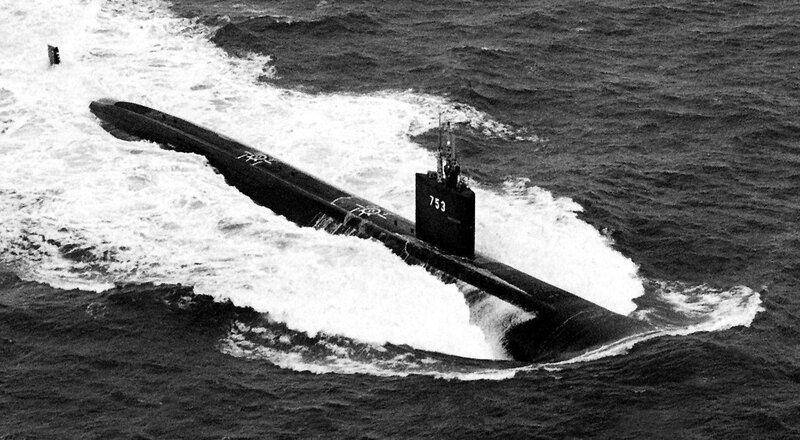 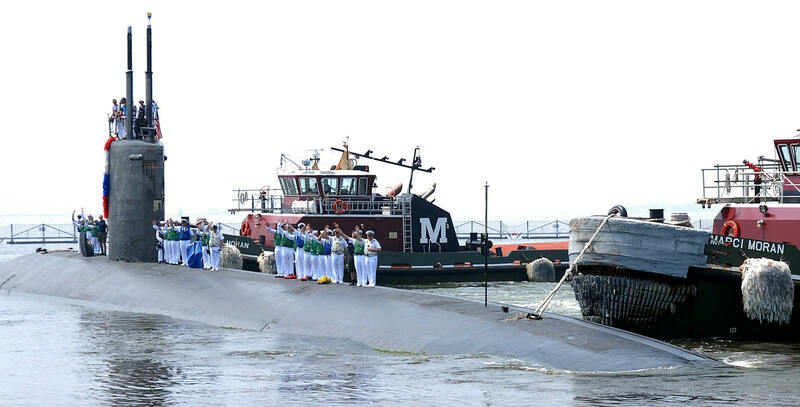 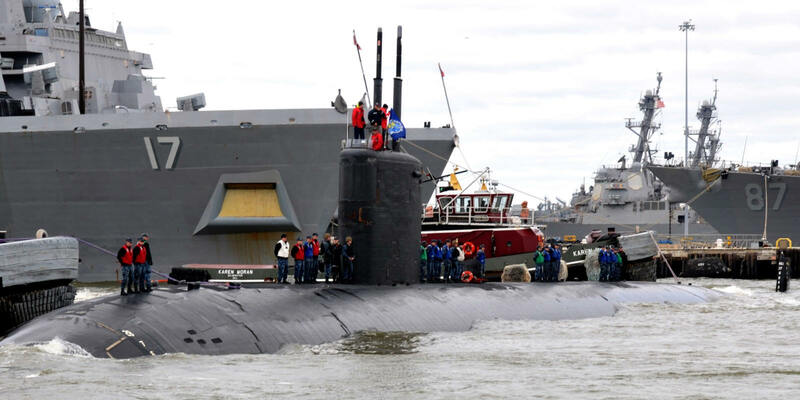 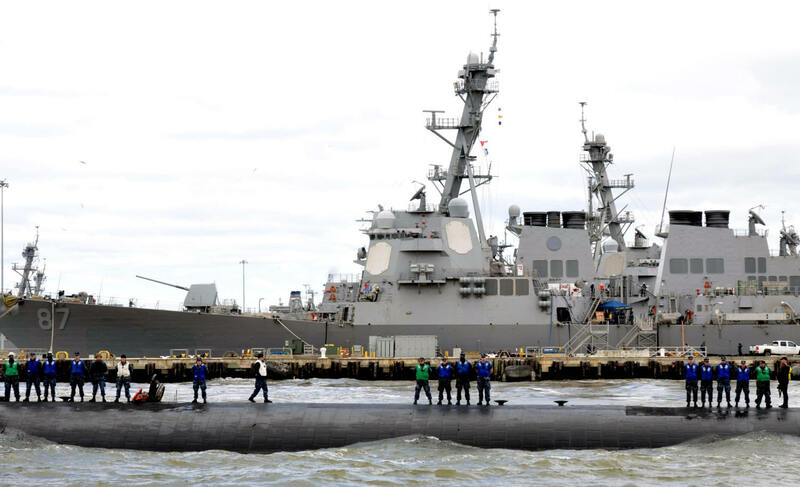 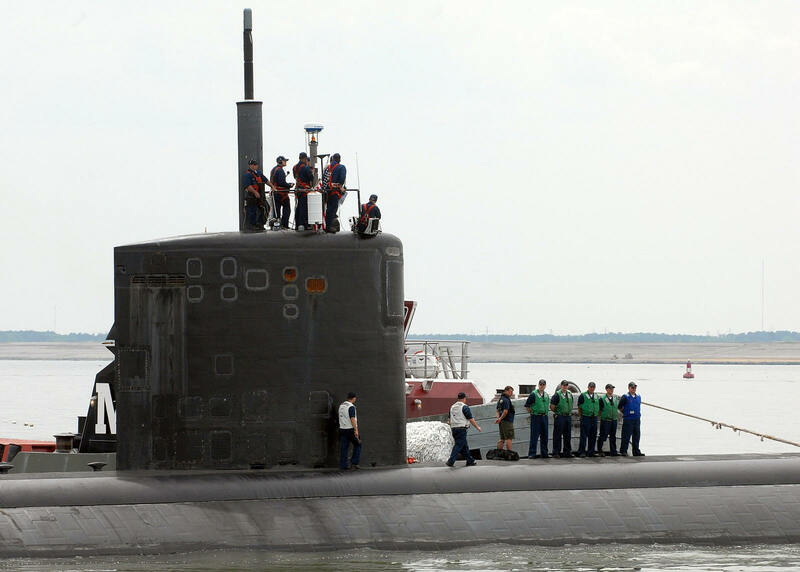 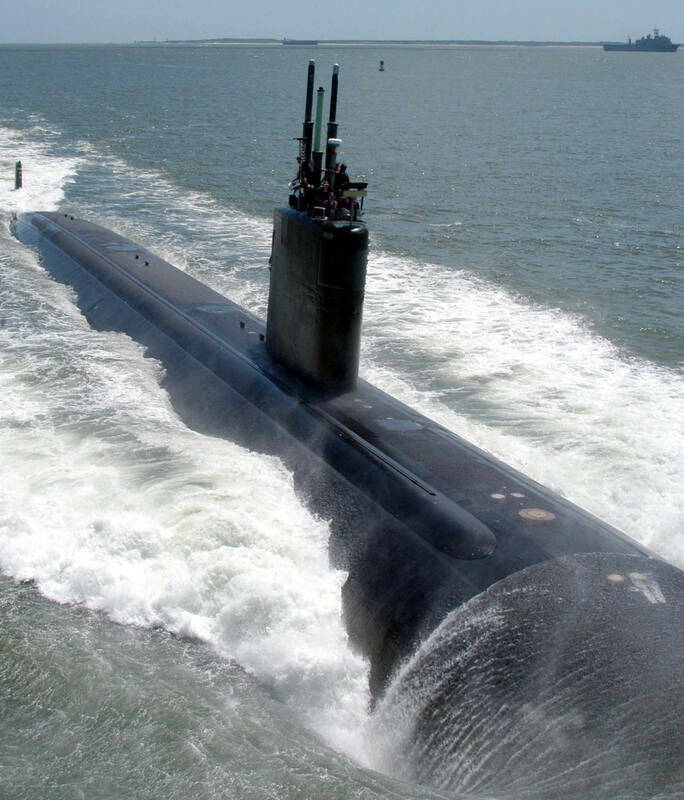 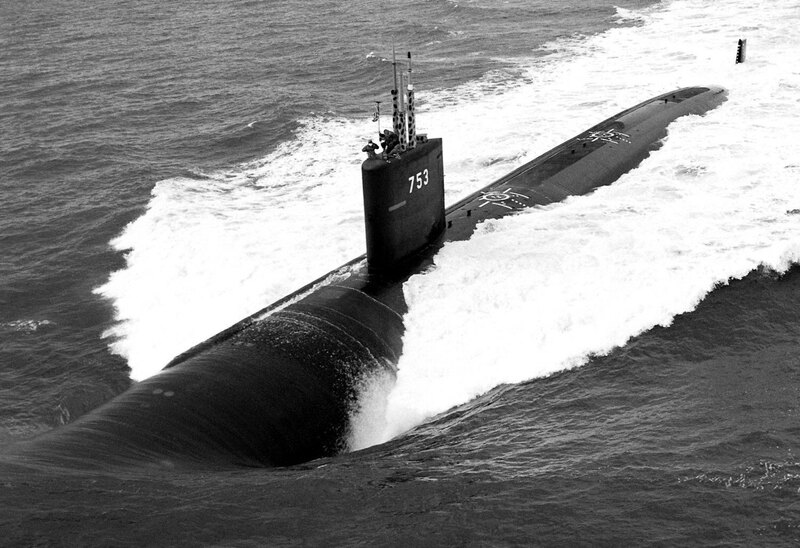 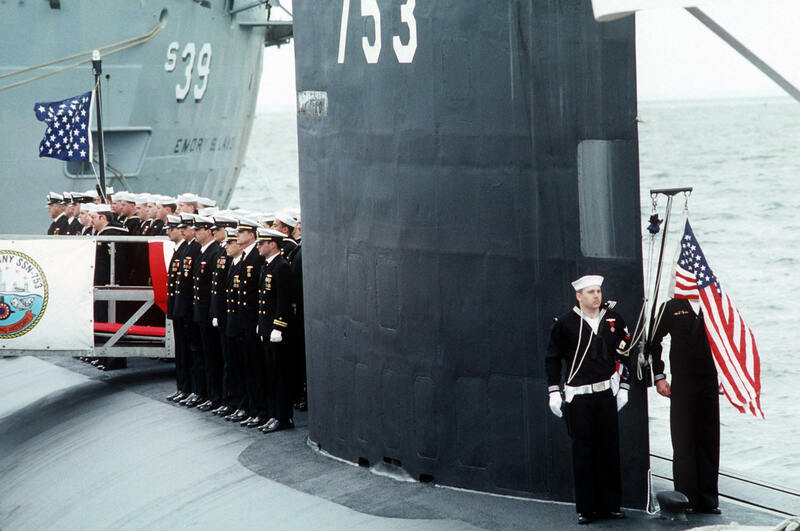 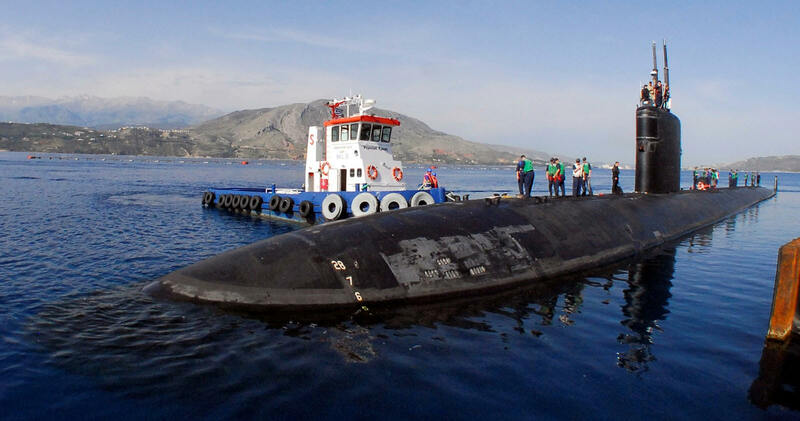 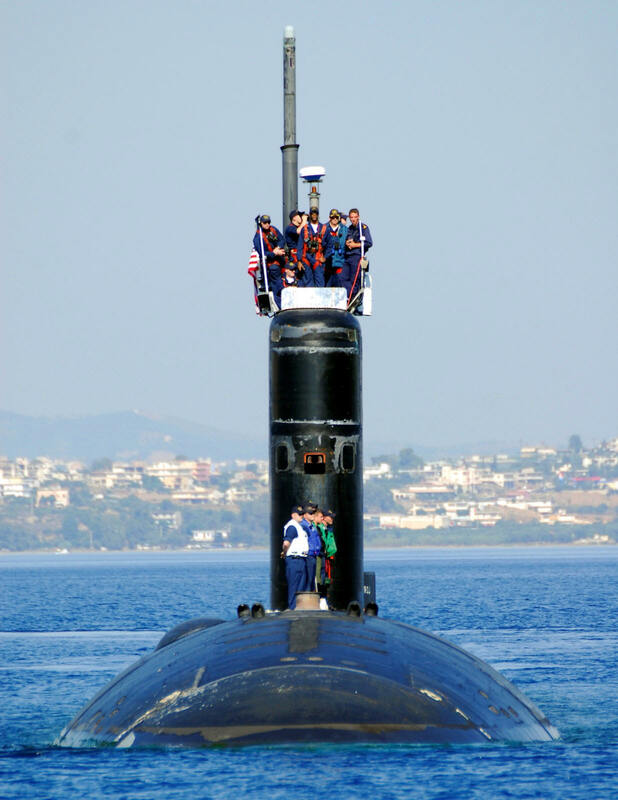 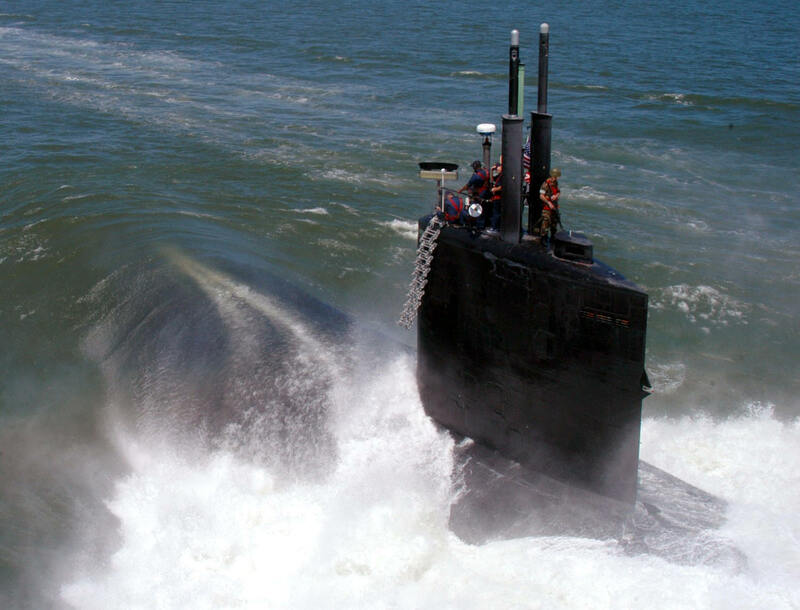 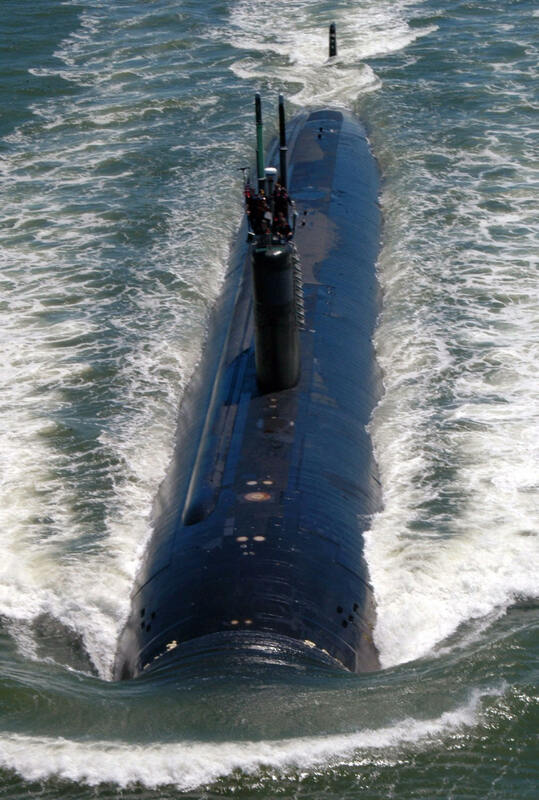 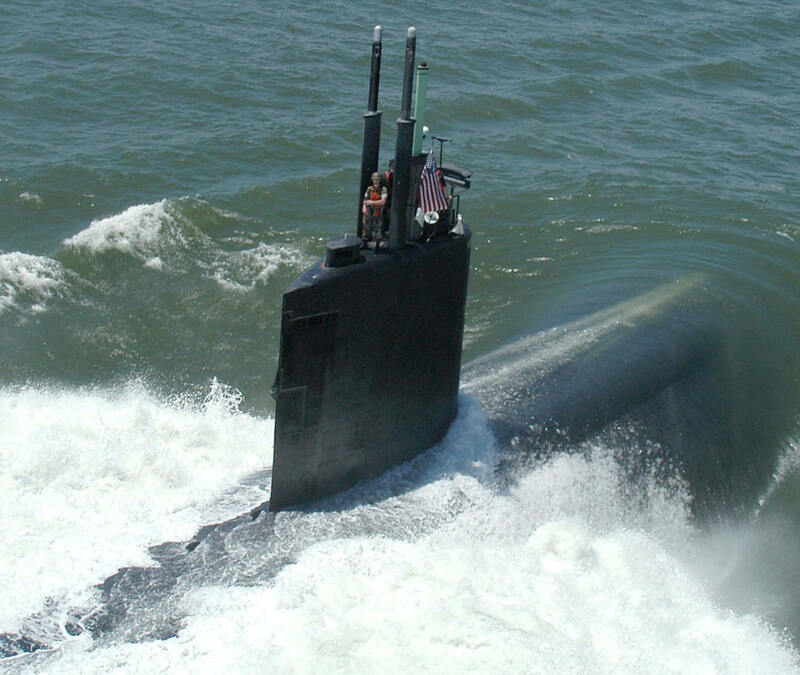 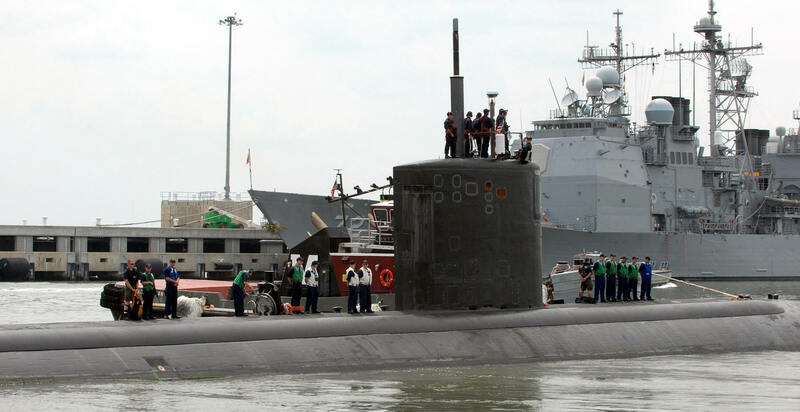 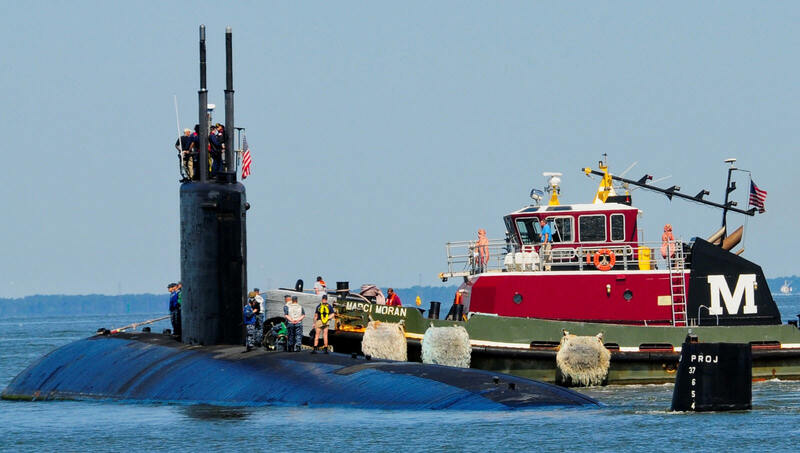 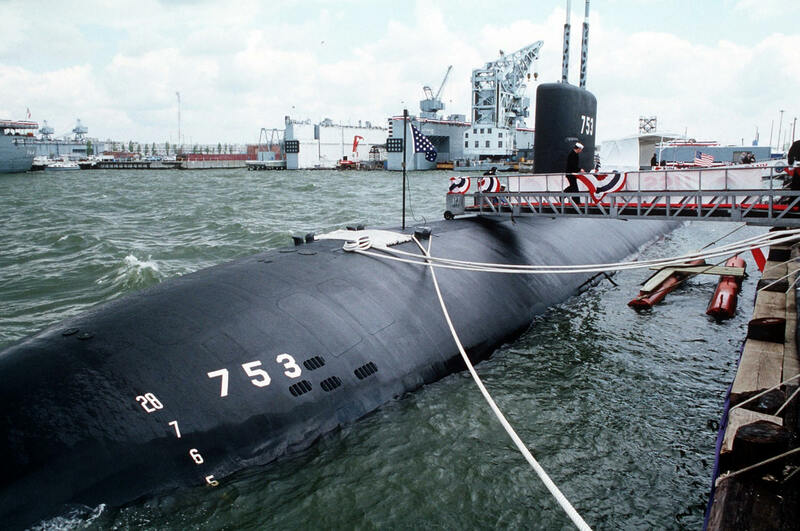 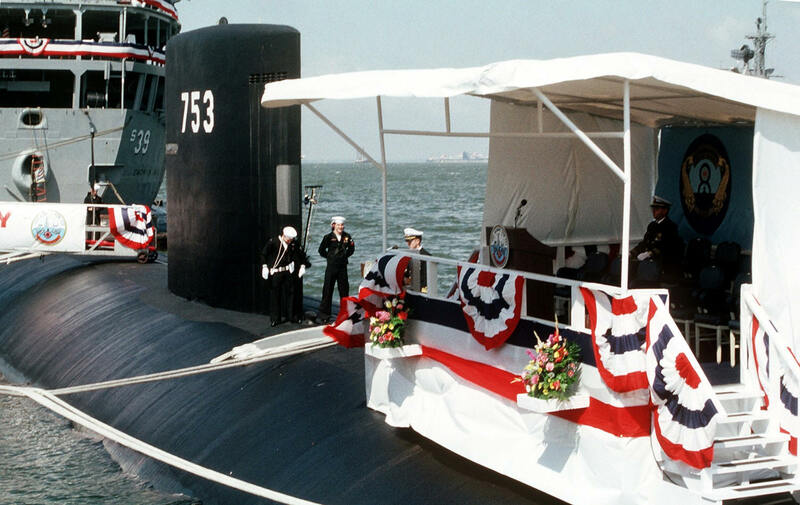 Albany served initially with Submarine Squadron (SubRon) 8, Submarine Group 6, at Norfolk, Va. She was shifted to SubRon 6 at Norfolk on 31 August 1991. 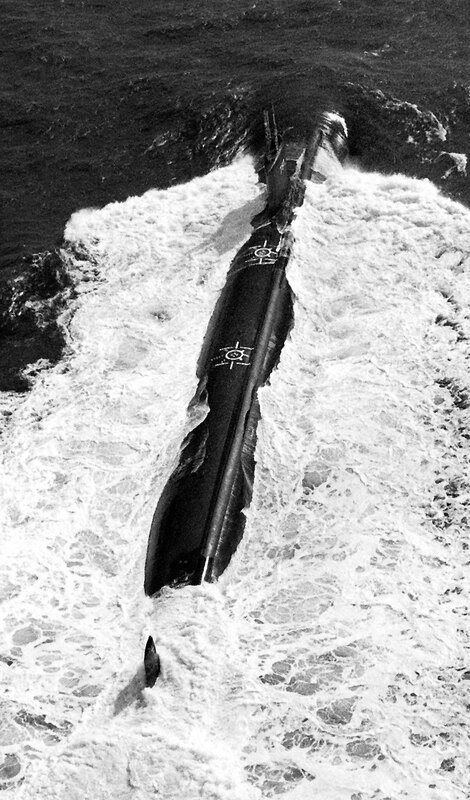 The attack submarine was commissioned with 12 bow-mounted VLS tubes, but only subsequently completed her UGM-109 Tomahawk submarine launched cruise missile certification (Phase I, 6-21 January and Phase II, 25 February-6 March 1992). 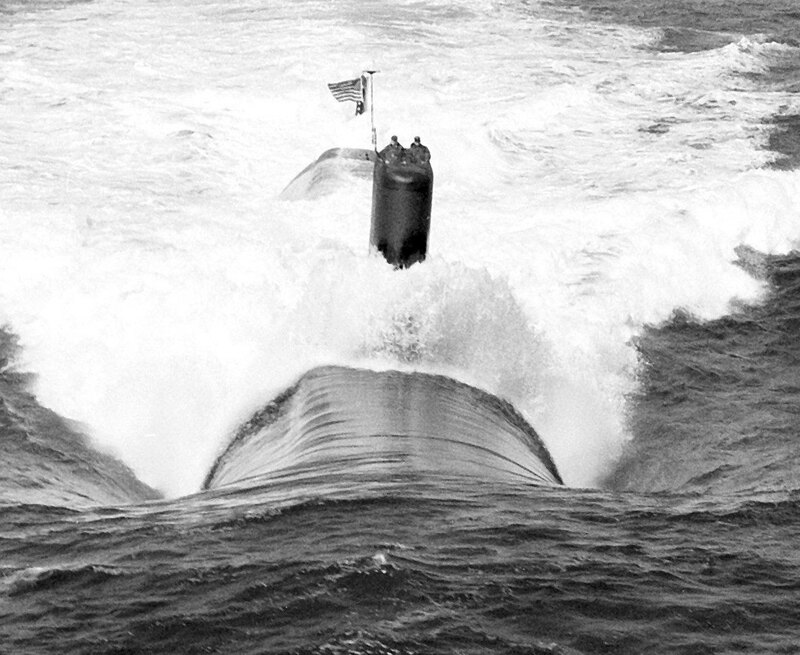 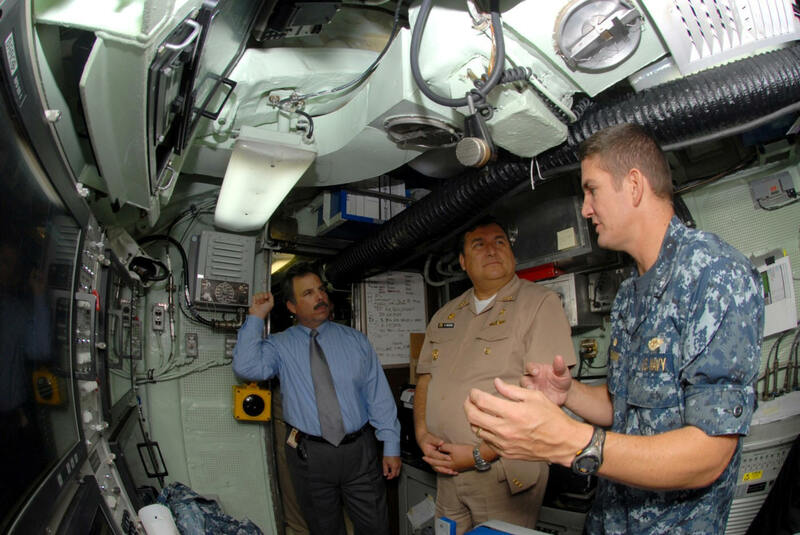 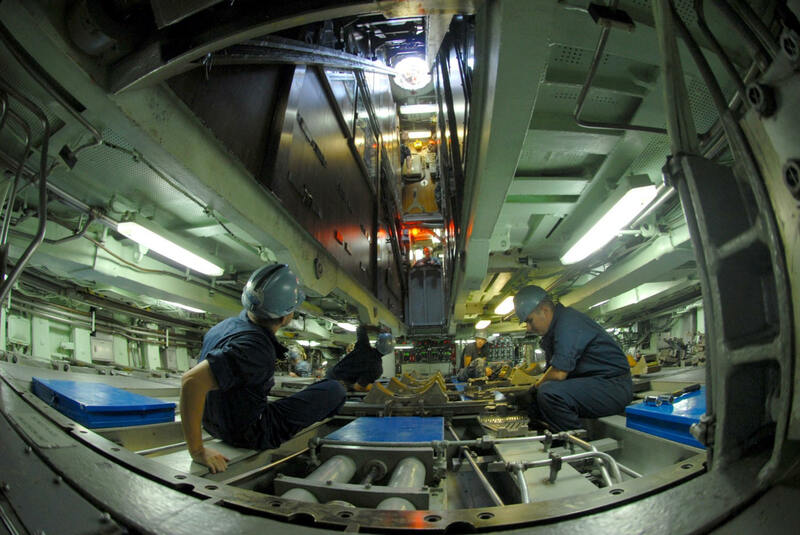 During Phase II, she also certified to fire Mk 48 Advanced Capability (ADCAP) torpedoes. 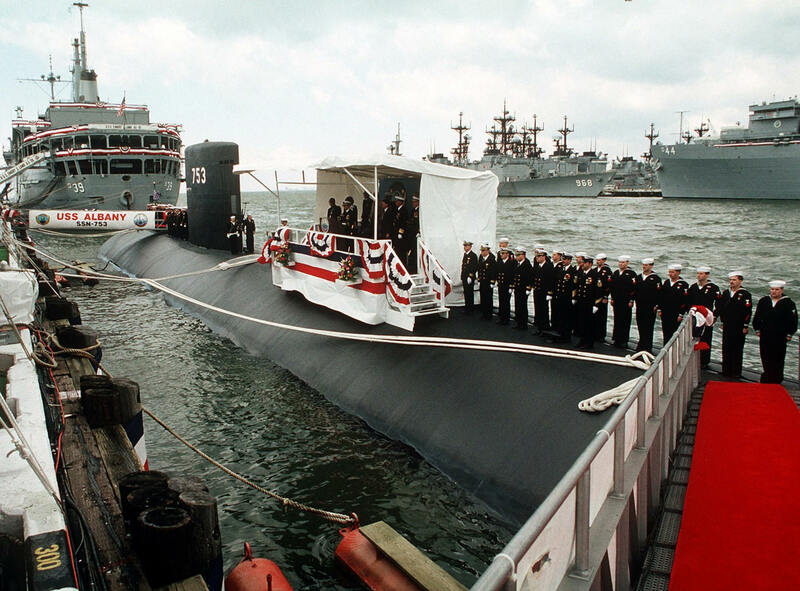 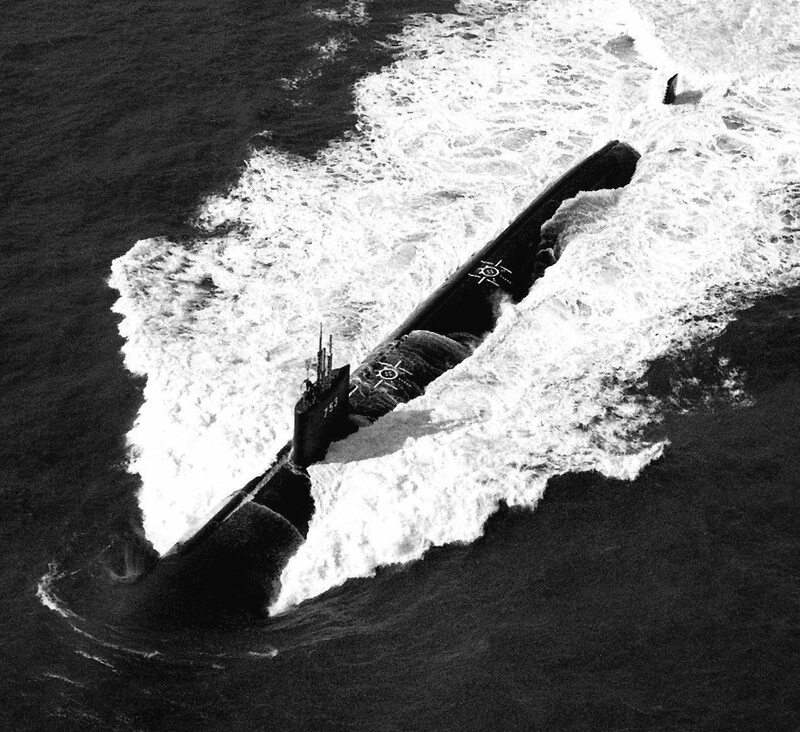 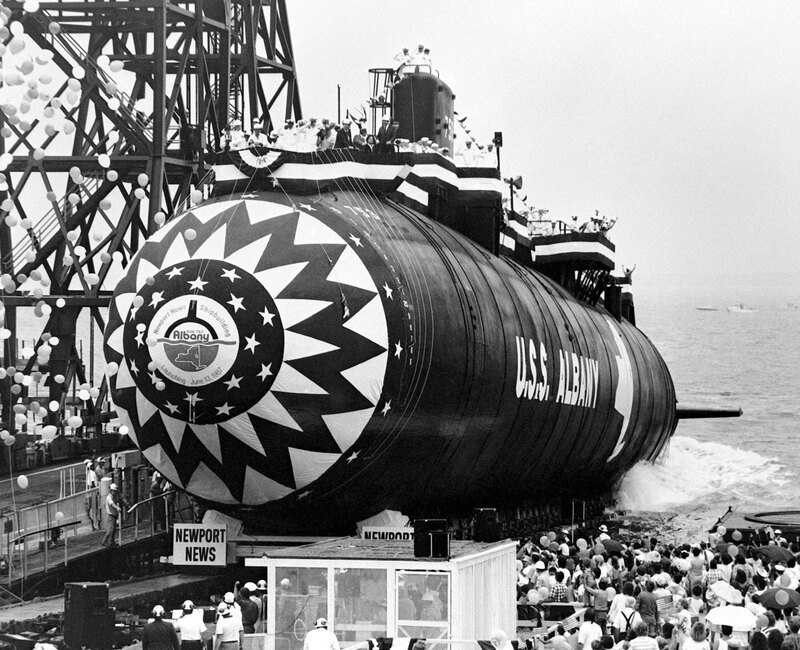 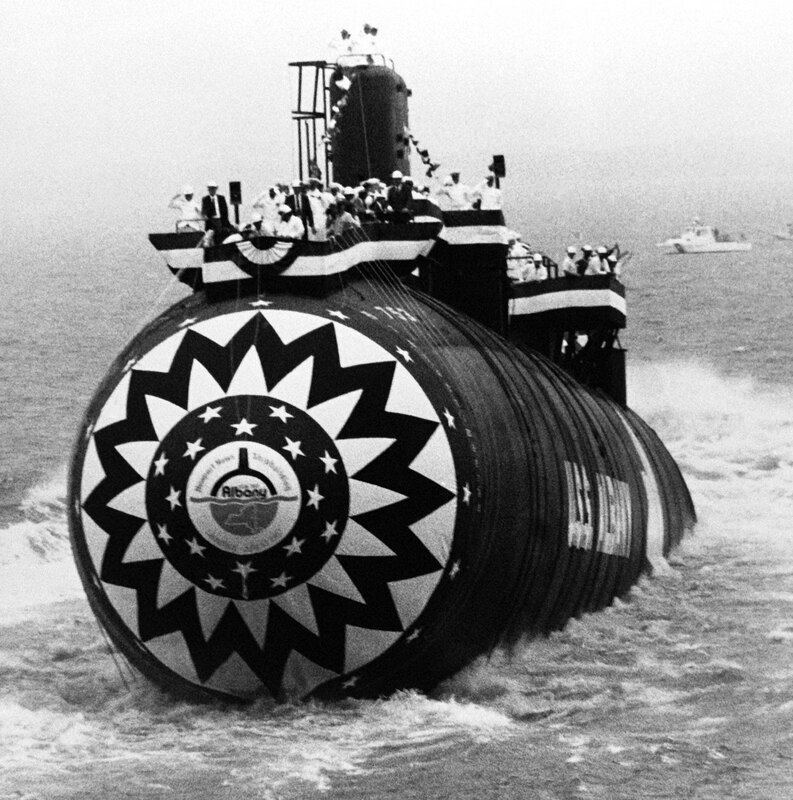 The submarine carried out her maiden deployment during a voyage to the North Atlantic and the Mediterranean (22 July-24 December 1992). 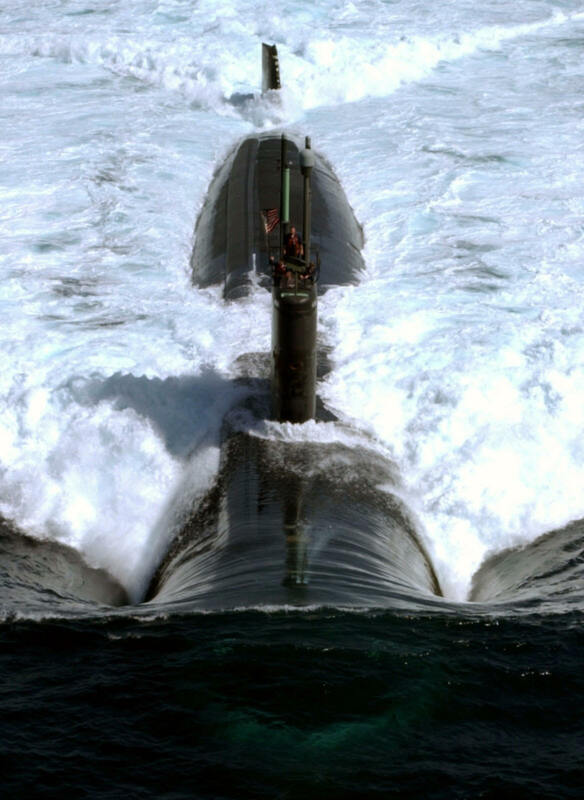 She crossed the Arctic Circle on 30 July, passed through the Strait of Gibraltar into the Mediterranean on 6 September, participated in NATO multi-threat exercise Display Determination ’92 (26 September - 8 October), and returned through the Strait of Gibraltar into the Atlantic on 12 December. 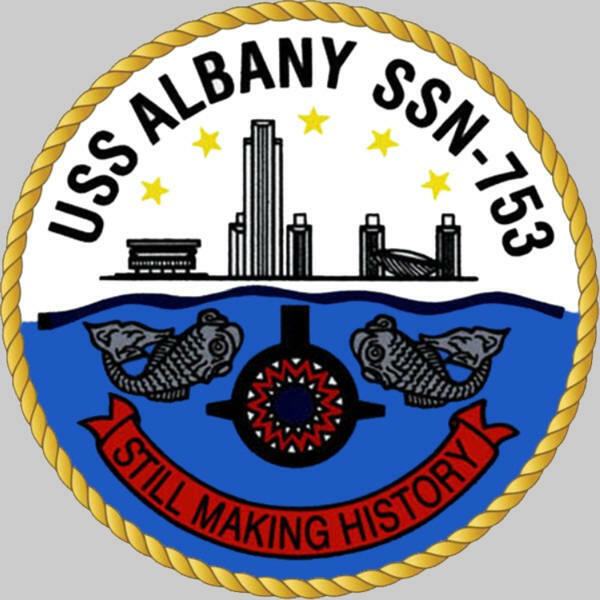 In addition, Albany accomplished voyage repairs while she visited Faslane, Scotland (31 August - 3 September); Naples (11-16 September and 11-19 November) (Secretary of the Navy Sean C. O’Keefe visited Albany while she lay moored at Naples on 13 November); and San Steffaino, Italy (17-22 September, 7-10 November, and 21 November - 7 December); and Gibraltar (10-12 December). 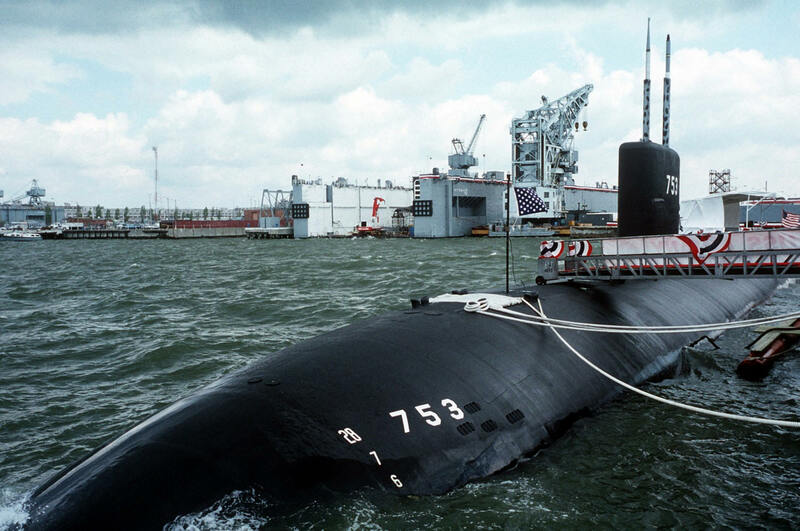 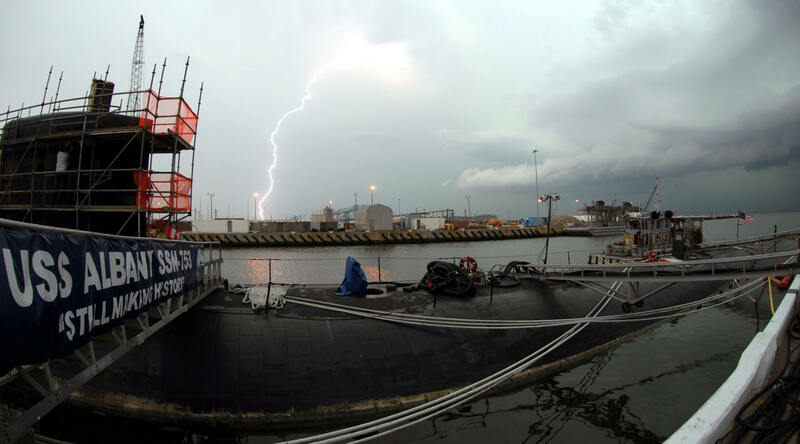 Hurricane Floyd compelled 80 Navy ships and submarines and dozens of aircraft between Mayport, Fla., and Norfolk to emergency sortie in September 1999. 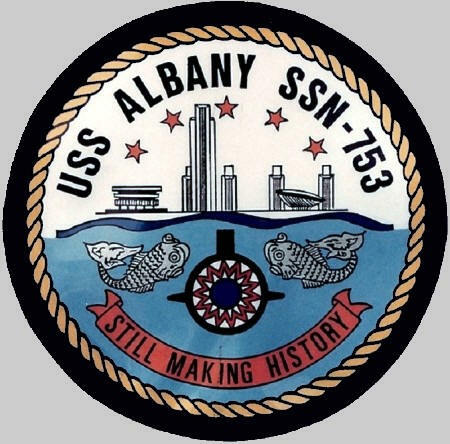 Albany escaped the tempest while submerged off the east coast (15-18 September). 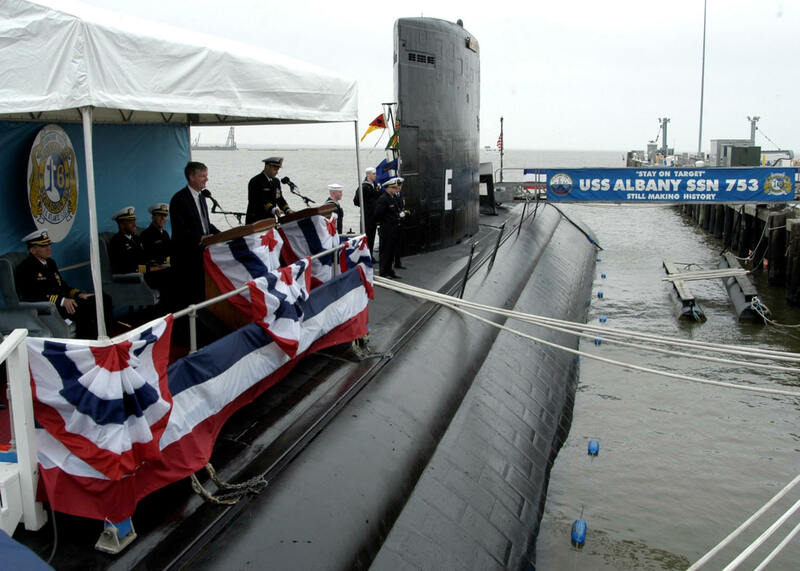 Albany launched an unmanned aerial vehicle (UAV) while she operated on the surface on 20 July 2005. 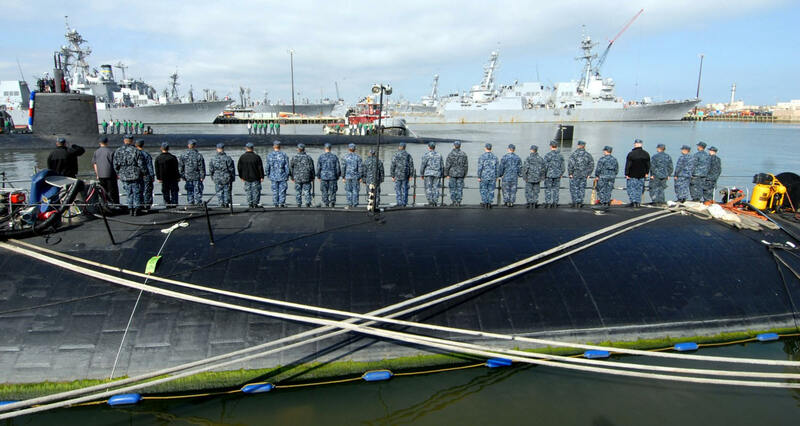 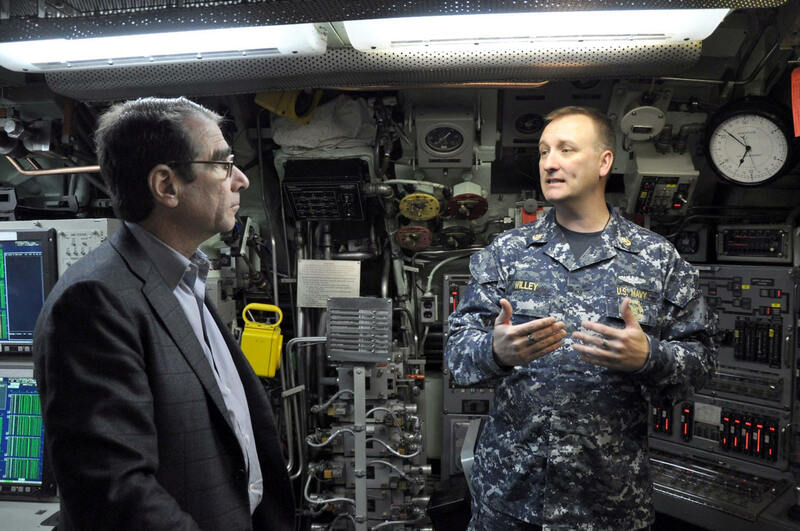 The test, utilizing a UAV similar to the AeroVironment Dragon Eye Advanced Tactical Reconnaissance Monitoring Platform (DE-ATR - subsequently designated RQ-14A), demonstrated some of the tactical advantages conferred by deploying UAVs from attack submarines. 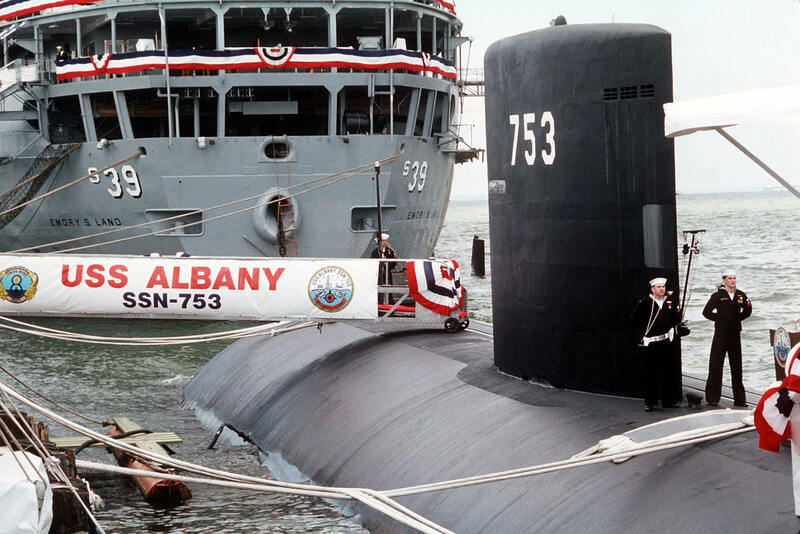 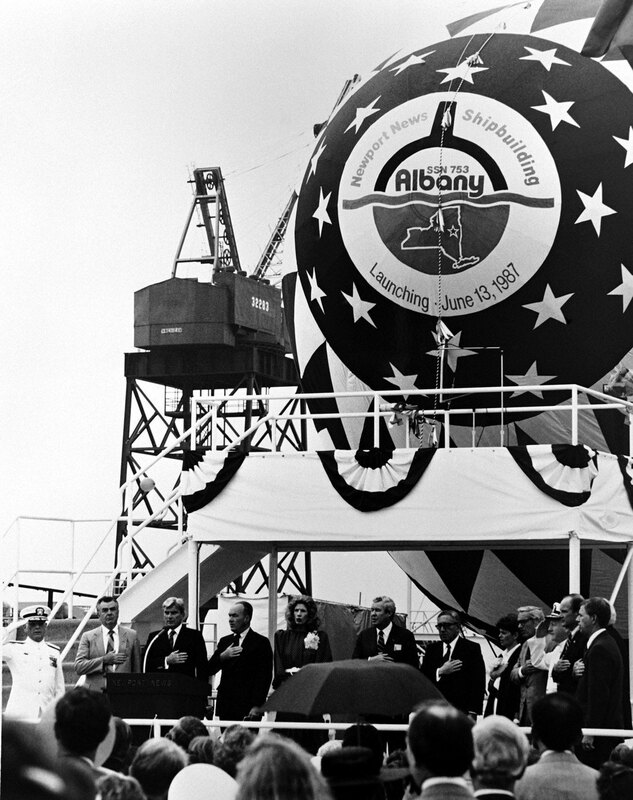 Albany worked with a tug during the evaluation. 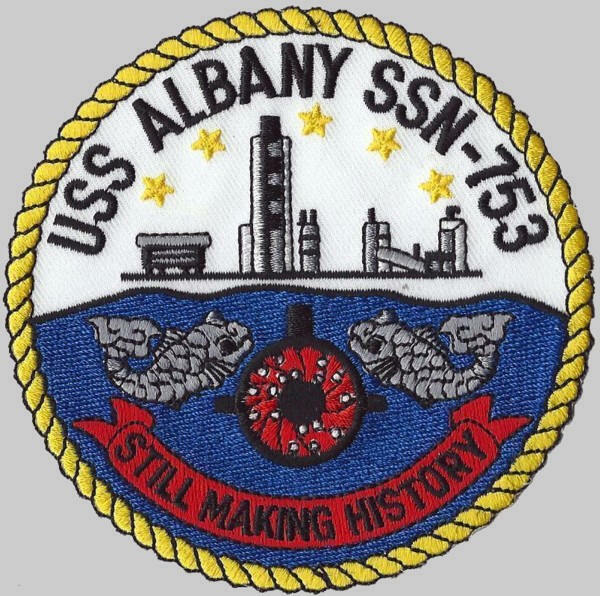 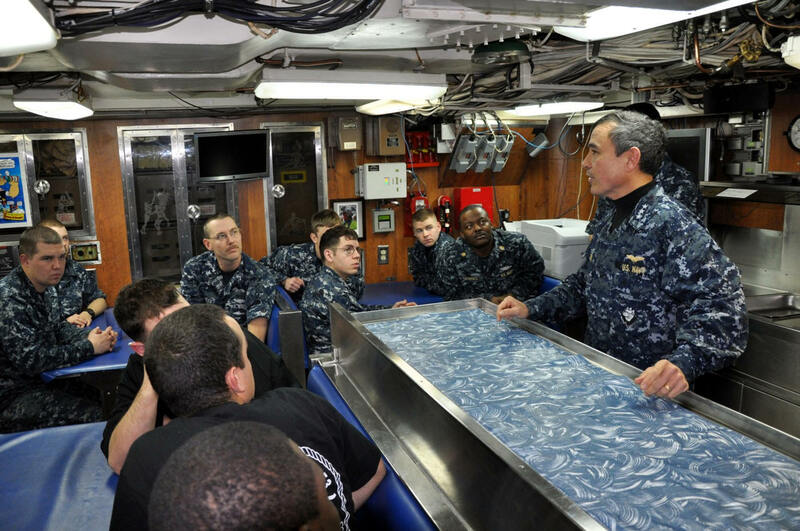 During a deployment to Northern European waters, Albany spent more than 30 days operating above the Arctic Circle, while steaming in the Norwegian Sea (12 February - 8 August 2010).